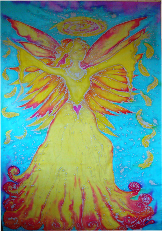 Angel Art by Jayne Franz. 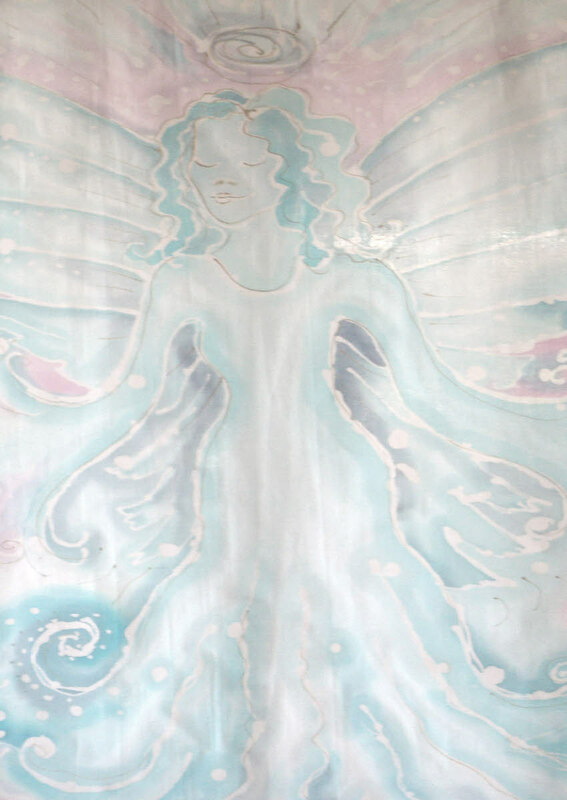 My sister, Jayne, paints pictures of people’s guardian angels that she channels. Painting the light beings helps to anchor their light to Earth. She usually get the name of the angel and the type of angel they are, angels of light, violet flame, peace, love etc. The A4 pictures are £35 plus postage and packing. She also sells a set of 4 different Angel Greeting cards which are £3.50 plus postage and packing. The main focus of Jayne’s Spiritual work and mission in this lifetime is to help people to clear Self -Punishment Reels. Self -Punishment Reels have been started in a past life and added to over successive lifetimes, very often with vows or oaths which are still holding and affecting lives today. They were often begun when people misused their power and strayed into the dark. Through their guilt the Reels were set up. As the Reel clears it allows the past lives connected to be cleared too. The process is very strong and empowering. Before the process begins people need their SRT clearing first, which I can do. A Reel session clearing can be done on the phone or on Skype. Each session costs £60.